Last year, I was really excited about going to the Running of the Brides. I ended up unsuccessful and a little frustrated. 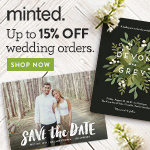 However, I have heard of many brides able to find great deals. If you are interested, there are some tips below! Pick a team -- people whose taste you trust and are willing to get in there and do shopping battle for you. Leave your handbag at home—you’ll need both hands for this. Please, NO MAKE-UP. You wouldn’t want to see the dress of your dreams only to find it smeared with lipstick. CLEAN HANDS are appreciated. INSIDER TIP: If you’re not up to the chaos of store opening, arrive late morning or anytime up to store closing (8:00pm). Dresses will be back on the racks and the atmosphere will be much calmer. REMEMBER, this sale looks a lot more competitive than it really is—most of the hundreds of people you see in the rush to the racks are helpers, not buyers. Each team ends up with just one dress. (Alright, sometimes two, but that’s rare). There are still plenty of dresses to choose from. 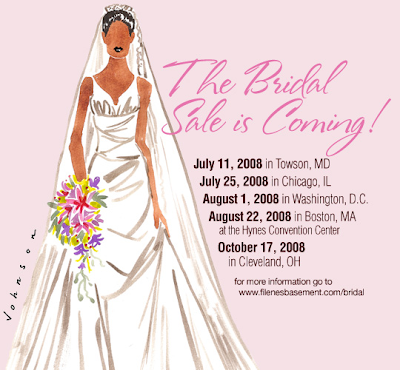 In fact, last year over 90% of the brides-to-be who came to this sale found their dream dress. Be considerate—have your helpers put dresses you don’t want on the hangers and back on the racks. Think of how disappointed you’d be if you found your perfect wedding dress, but it had been trampled on and damaged. Be fair–keep only the dresses you are seriously considering, and set the others free as soon as possible. Remember, wedding gowns don’t always run true to size—look not only for your regular dress size, but try a size or two bigger as well. Even if a dress isn’t the perfect fit, at this price it may be worth the cost of alterations. An expert on gown cleaning and alterations will be on hand to advise you. 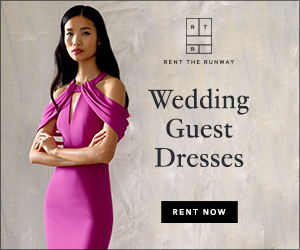 Be decisive--it’s only a one-day sale and gowns are not returnable. Have fun--if you find a dress, great. If not and you still have some time to look, go to Filene's Basement for the city and date of the next sale.